Peter Skilling will participate to the Oslo Buddhist Studies Forum and will give a presentation the 5th of June on STUPA NETWORKS OF CENTRAL INDIA: REFLECTIONS ON THE EARLY SPREAD OF BUDDHISM. Buddhist Studies have been irrevocably transformed by new developments over the last several decades, especially the first decade of this millennium. In the field of textual studies, the discovery and publication of manuscripts from Gandhara and Central Asia, and increased access to manuscripts in other areas, have completely altered our understanding of the literary, linguistic, and institutional history of Buddhism. 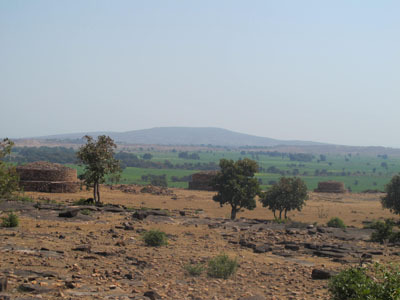 In the field of archaeology, discoveries from Termez in Central Asia to Kanaganahalli in Karnataka have brought with them new geographies and new maps of the material history of the Saddharma. In this talk, I reflect on field trip that I have undertaken recently in Vindhyadesa, the heart of India, an area which saw an extraordinary expansion of Buddhism from the pre-Asokan period up to the first or second centuries CE.